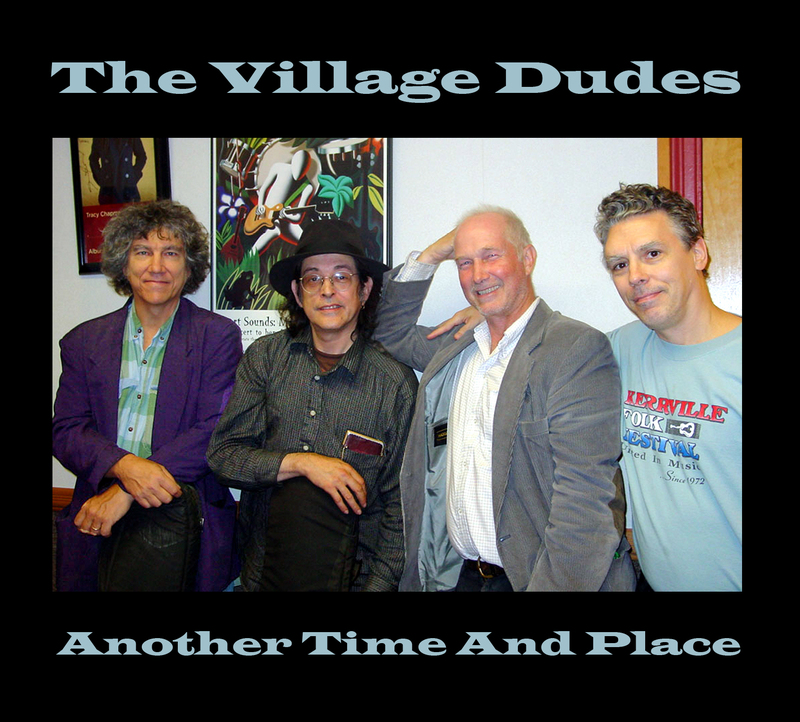 Blue Flute Music is proud to present the new cd by The Village Dudes! (L-R) Rod MacDonald, Frank Christian, Jack Hardy and David Massengill. It was recorded in 2002 and 2003 by Mark Dann, and has a release date of February 1, 2019. 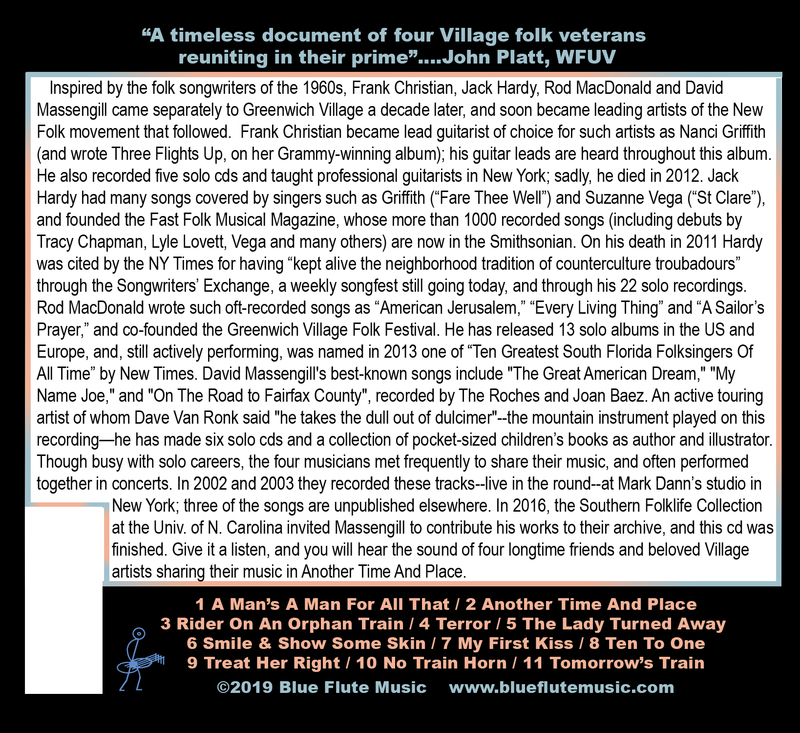 The recordings were done live, with everyone in a circle. The cd is available from this site for $15 + $5 shipping per order. Buy 3 cds, it's still $5. To purchase, click the Buy Now button and be sure to give us your name, address, and email address. Or send a check to Rod MacDonald, Box 3844, Boynton Beach, FL 33424.